← Een ongemakkelijke waarheid over windmolens? Electric cars and windmills are supposedly filled to the rim with super magnets made of Neodymium. This metal is a so called “rare earth” mineral. This mineral would only be present in Inner Mongolia where Dante’s Hell is created in order to extract the drug that the Treehuggers of the world need so badly : magnets for their windmills and Prius’. Mining is extremely polluting because with the Neodymium traces of Uranium, toxic dust and acids are left over after mining and are dumped in a 120km2 artificial “toxic pool”. That’s not nice to read when you’re into windmills and Prius. So I take serious note of this information, as I’m not really leaving the world a better place for my kids when I ruin the environment of the Inner Mongolians by the effects of my choices. So what is the bigger picture? It’s really not so bad for those super magnets. The world production of Neodymium is about 7.000.000 kilogram per year. And what about those poor Mongolians? We’ll, Neodymium appears to be not so “rare” after all. And it only costs €100 per kilo. There’s plenty of the stuff around the world. But the Chinese government doesn’t have environmental laws, let alone enforce them. So some crooks in Mongolia have built the cheapest dirtiest most profitable mine one can imagine. If China would demand the mines to work cleanly, the problems would be solved tomorrow (and the cash they earned will need to be spent on cleaning up the dirty pool). It is very well imaginable that Europe will soon demand some sort of green certification for Neodymium. 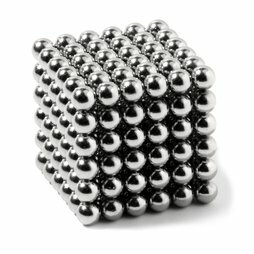 This would probably double or even tenfold the price, but that wouldn’t make much difference in the price of the end products containing Neodymium magnets. Resuming: the extremely dirty mines are competing in a very “dirty” way against mines that would deliver clean Neodymium, but this can not be put on the plate of the Windmill or Tesla or Prius builders. Ps. Tesla uses induction motors made of copper and aluminum, no rare earth needed here. Dit bericht werd geplaatst in Klimaat, Politiek, Tesla en getagged met china, Neodymium, turbine. Maak dit favoriet permalink.